Whether youre a Democrat or Republican, there are great management lessons you can use to run your company in difficult times. By Woodruff Imberman, Imberman and DeForest Inc.
Food and beverage processors – and all manufacturing executives -- can learn valuable management lessons from the successful journey of Barack Obama, who started as an obscure back-bench Illinois state senator and rose to the White House in just 12 years. Here is why he was successful, and here is how you can apply Obama’s disciplined methods to engage your employees in reaching your company’s goals of higher productivity and better profitability. Obama knew his goal and had the discipline to reach it. What are your company’s goals? Have you ever disciplined yourself to list them on paper? Are your goals staying union-free in the face of the looming Employee Free Choice Act; achieving lower labor costs in coming union negotiations; developing more employee cooperation in achieving higher productivity and/or lower costs? Whatever. Obama achieved his goal of winning the Presidency by out-planning, out-organizing, out-financing and out-communicating his competitors. You can achieve your goals the same way. Out-communicating: From the beginning, Obama kept to a simple slogan, “Yes We Can,” which he repeated endlessly as a tag line to his quick-silver message of “Hope and Change.” It gave his audiences confidence that whatever the current woes or concerns they faced, Obama could make their “hope” for “change” become a reality. What “hope” and “change” meant to each of his millions of listeners varied. Listeners could read into this message whatever they wanted, and believe that “Yes We Can” could change those things that were important to them as individuals. opponents and crafted a disciplined campaign that emphasized their weaknesses while building on his strengths. It mattered little to the listener whether Obama had the experience to be President or whether he could handle domestic crises or foreign issues. They read into his messages and optimistic slogans what they wanted, what they hoped for, and believed he – with their backing -- could help make it happen. Out-financing: Obama reneged on his promise to accept the $70 million in federal funding the law allows for campaigning. No matter. His nationwide grass-roots fund-raising efforts enabled him to raise more than $600 million. He used the money to blanket the nation with his message. His skillful use of the internet helped him to reach out to, register and energize young voters. Out-organizing: Obama also used his funds to set up local campaign offices where staffers were quick to respond (often via blog or e-mail) to any message delivered by an opponent. They bought print, radio and television commercials keyed to the local issues and voters. These disciplined efforts enabled him to drown the messages his opponents put before the electorate about his past associations with questionable friends and even more questionable Chicago politicians. Communicate: Create a simple slogan or theme that unites you and your employees against a common enemy. The enemy could be tougher competition, a union, the possibility of a strike, rising costs or recession. Like you, their paychecks, their job security and their futures depend upon being part of a highly productive, profitable company. Discipline yourself to communicate with your employees, not at them, by listening as much as talking. Create a two-way communication system to hear their ideas for productivity improvements, their thoughts and their ideas. Then respond in a meaningful way. Since employees speak more frankly to an outsider, consider an outside consultant to help devise and start the communication program. Plan: You know the issues facing your company. Don’t wait until the last minute when your communications effort will be transparent. Discipline yourself to start it now. Finance: A simple communications program is inexpensive and effective. How much do brief, monthly meetings with employees cost? And listen to their ideas to cut scrap, boost productivity or improve customer service. Organize: Profitability and job stability are the results of disciplined executives. Discipline yourself to develop your managers by teaching them how to focus on key company objectives while delegating busy work to subordinates. Teach first-line supervisors how to organize the work of their department rather than just trying to manage the behavior of their workers. Develop formal evaluation and compensation programs so employees at all levels know what is expected of them and reward or sanction them accordingly. Develop group pay-for-performance programs, like Gainsharing, to build strong labor/management bonds that motivate and compensate employees for working together and with management to achieve high productivity and company profitability goals. There was nothing mysterious about how Obama reached his goal. It was due to discipline, communication, planning, organizing and financing. Similarly, there is nothing mysterious in using these same methods to engage your employees in meeting your company’s goals. The author, Dr. Woodruff Imberman, president of Imberman and Deforest Inc., management consultants, has published previous reports in Food Processing on management development, supervisory training, employee communication programs and group pay-for-performance plans, all for meeting company goals of higher productivity and better profitability. Contact him at 847-733-0071 or IMBandDEF@aol.com for these past reports. 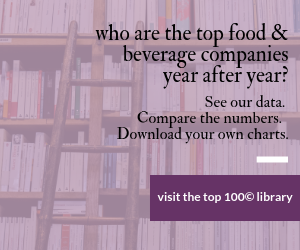 Which Presidential Candidate Is Better for the Food and Beverage Industry? Where Trump and Clinton stand on food safety, regulations, trade, immigration and agriculture.